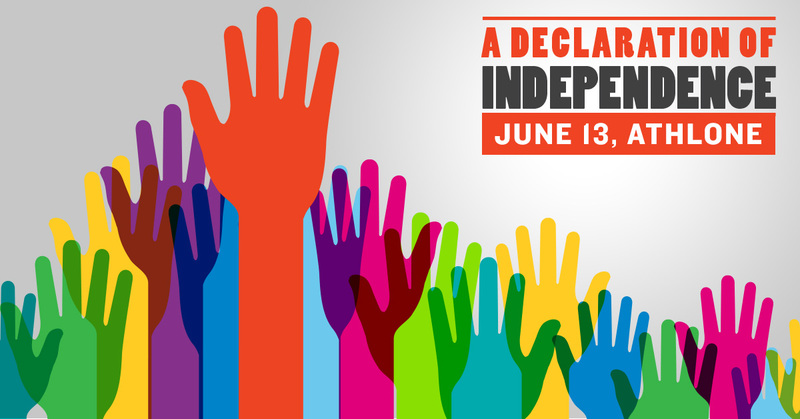 A Declaration of Independence | Here’s our Assembly programme! Coming to our Assembly event this Saturday in Athlone? We’re excited to share our programme for the day with you now! The day is about people with disabilities, our families and friends standing strong together. We are making a declaration. It’s a declaration of independence, of equality, of participation, of leadership, and of choice. It will be a declaration that cannot be ignored. A Declaration of Independence | A Historic Assembly is taking place between 11am and 4.30pm in the International Arena in Athlone Institute of Technology (AIT). If you have any questions or need any information about the event, please get in touch with Orlaith Grehan by calling 086 183 1502 or by emailing orlaith@theatnetwork.com.